All parents want the best for their child, and for parents of children with special needs, this can mean that their own well-being is neglected. 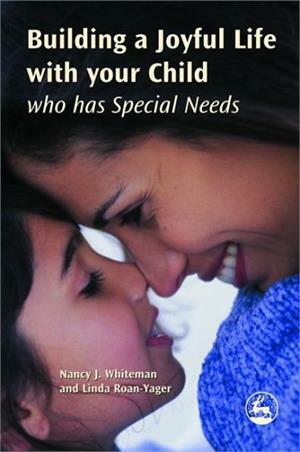 Drawing from their own experiences of parenting children with special needs, interviews and workshops with parents, and research findings, Nancy J. Whiteman and Linda Roan-Yager explore practical ways in which parents can develop a resilient and positive attitude towards caring for their child with special needs. This book considers the challenges of caring for children with physical, developmental and mental health disorders and proposes methods such as learning to see events through your child's own eyes, celebrating their strengths and achievements and recognising how others can help your child. Chapters deal with key topics such as coping with a diagnosis, discussing support needs with a child's teachers and explaining a child's differences to their peers, and the authors stress the importance of parents building support systems for themselves and their children. Real stories from parents and example scenarios illustrate the common difficulties faced by parents of children with special needs, and the authors explain how painful thoughts may be identified and reframed through techniques grounded in cognitive behaviour therapy. Crucially, Building a Joyful Life warns against parents neglecting their own needs, and a range of exercises to be completed by parents will help them to find ways of regaining balance in their lives.